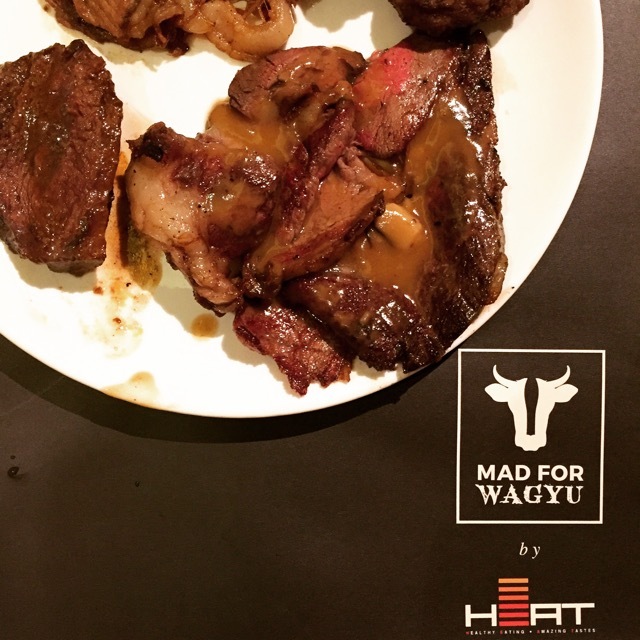 At first I was thinking maybe we are having some dishes made with Wagyu beef and that's it, I was not really setting my expectations high, but boy was I totally wrong about Mad for Wagyu, it is what you have dreamt it to be and a whole lot more! 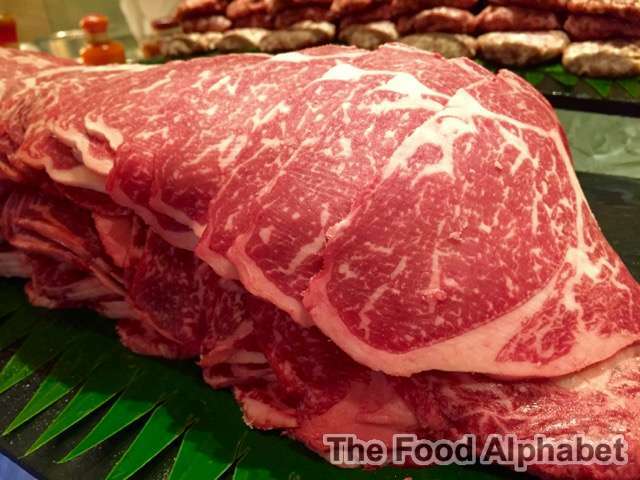 Just look at the marbling on those Wagyu Stirploins, just amazingly good. 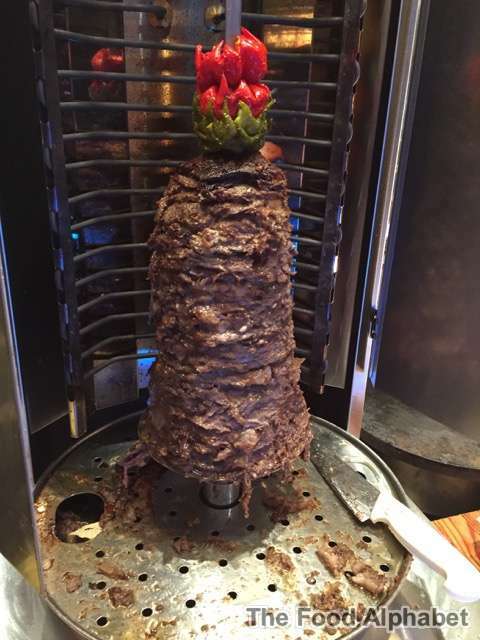 There is even a Wagyu Shawarma station, where you fix it up on pita bread and pour your heart out with hot sauce and white garlic sauces. Oh my Wagyu!!! 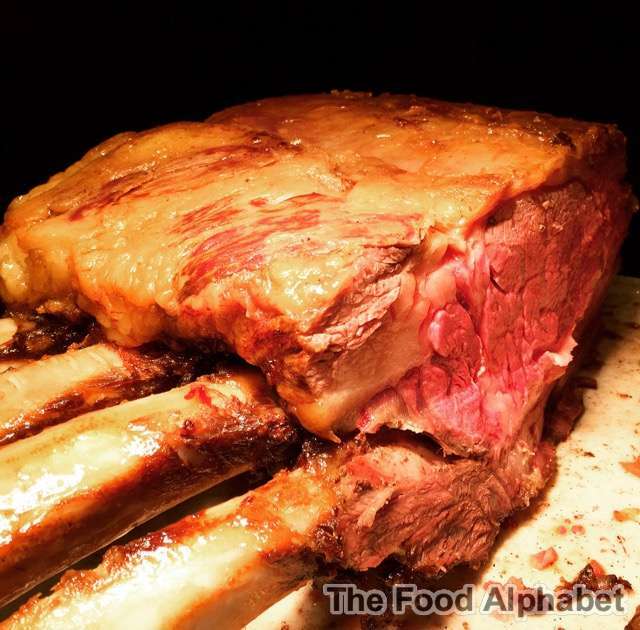 Wagyu Prime Rib at its finest, just the mere look on that tender meat, you feel like you have just arrived in Heaven, asking yourself where have you been all my life. 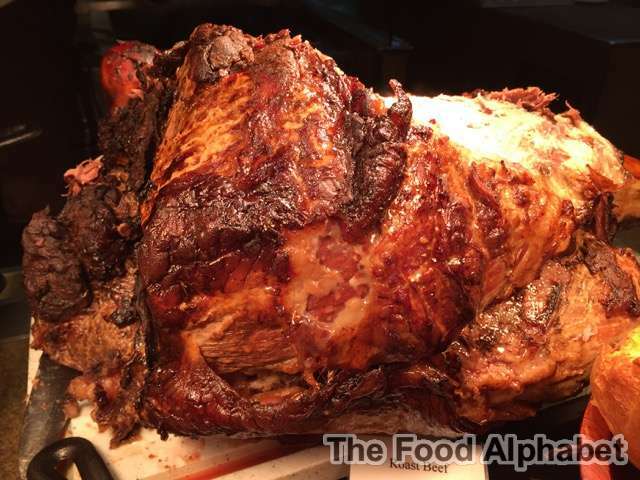 Their Tomahawk Roast Beef is a beast to conquer, after rounds of Prime Rib, there will always be room for Wagyu Roast Beef, pair it up with Red Wine Sauce, brings out the oozzzingly luscious aroma, you will be back for more. But this one takes my breath away! 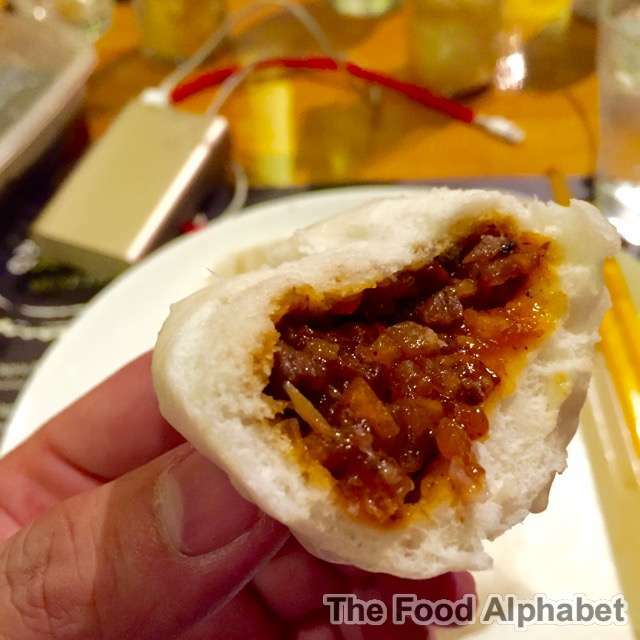 Wagyu Beef Dimsum!!! 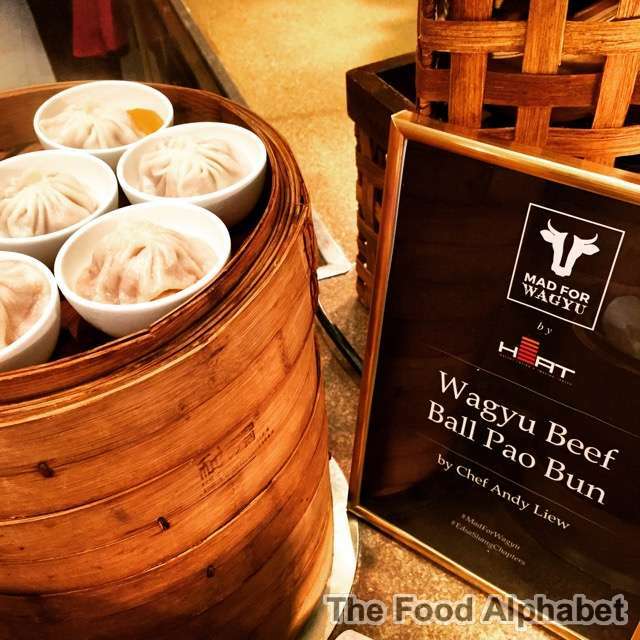 Xiao Long Bao with Wagyu, Chinese Buns with Wagyu filling... waaaahh!!! Don't just look, stare on it! Those Wagyu Beef fillings are so temptingly good, praises to Chef Andy Liew for this amazing creation. They also have Wagyu specialties on the Japanese station, such as Wagyu topped sushi, and they even have Wagyu themed desserts. 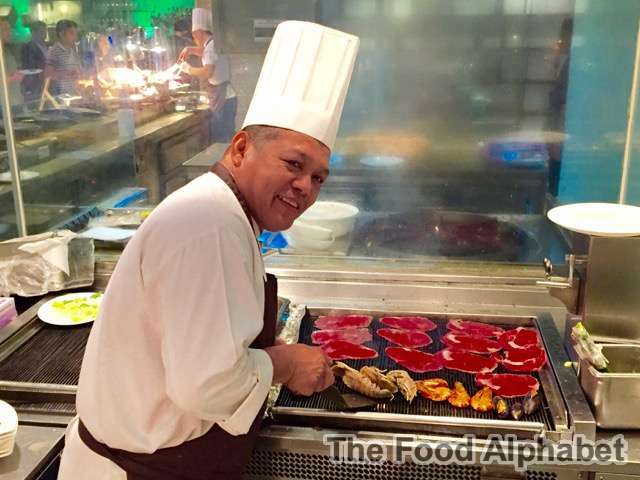 Apart from the great selection of Wagyu meats everywhere in the buffet spread, there is also lots of seafood such as lobsters, shrimps and other offerings, so it's not just for the Wagyu lovers out there. 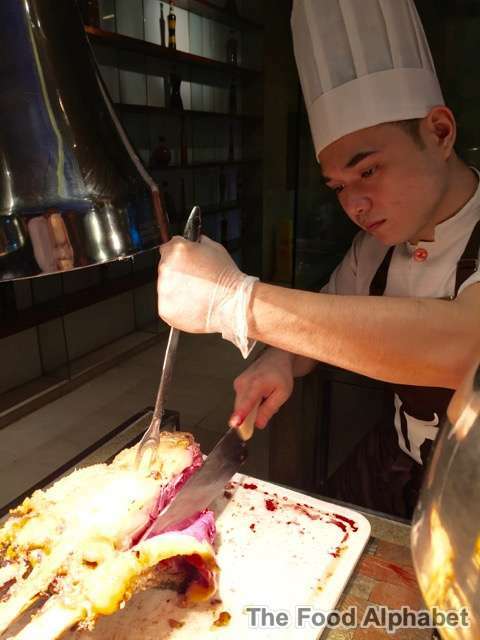 But other than their great food selections, what makes the experience even more amazing are the people behind the counters, the chefs who make you dining experience all the more amazing. Mad for Wagyu is available every Saturday dinner at Heat, Edsa Shangri-La Hotel from 6:00 pm to 10:30 pm for only P2415 nett per person. What an unbelievable price! 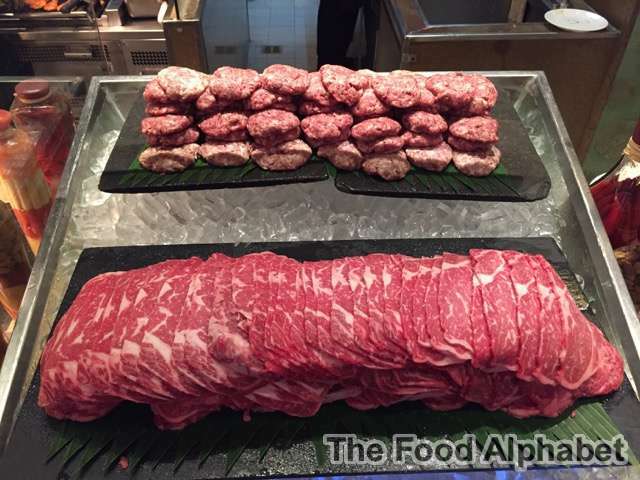 Take a Wagyu steak anywhere and it costs thousands more! But here you get unlimited servings, now that's a deal you don't see everyday!